Product categories of Reagent Bottle, we are specialized manufacturers from China, Reagent Bottle, Screw Cap Reagent Bottle suppliers/factory, wholesale high-quality products of Glass Reagent Bottle R & D and manufacturing, we have the perfect after-sales service and technical support. Look forward to your cooperation! 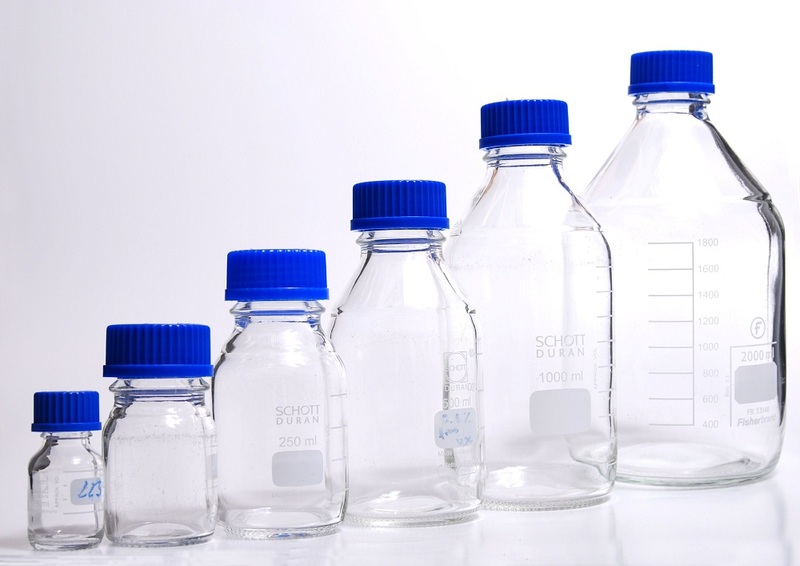 Reagent Bottle sizes include 100 ml, 250 ml, 500 ml, 1000 ml (1 liter) and 2000 ml (2 liter). Older bottles, especially for medical use and for expensive chemicals, can be found of capacities well under 100 ml. The selection of caps and stoppers that Reagent Bottles are closed with are as important as the material the bottles are made of, and the decision as to which cap to use is dependent on the material stored in the container, and the amount of heat which the cap can be subject to.